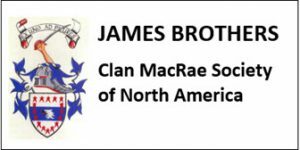 The society is currently offering Clan MacRae name tags for the cost of $12. Our name tags feature a magnet backing in order to avoid harm to clothing. Please allow four weeks delivery time.